Recently I've been searching my game projects' folder for a new game to work on. I noticed most of them would require a larger team and a lot of time. At the very end of the list, there was this game: the first one I've coded in my life. Its name is WAN. Back in the day it was a very bold project, but I never could finish it (heck, I couldn't even finish the first level) due to lack of experience. Today I'm able to code those ideas and since there are already tons of puzzles designed for it, I decided to start it from scratch in Game Maker Studio. WAN is a puzzle platformer where the main character has magnetic powers. By cycling through colors they are able to pull or push different blocks and by using this power they must solve puzzles to advance in the game. Since the mechanics are really simple I should be able to provide a quick-look into it soon! The game still uses colored blocks, just for testing. Until there I'll probably cover with with some art made by me (so you all know what to expect) just to make it look a little better. I'm working on the first DLC (that will be free) and planning on releasing it together with the Mac OS version of the game. 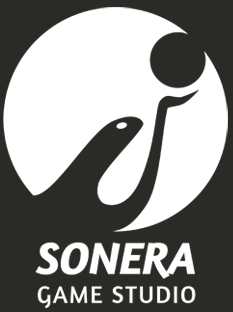 Follow @sonerags on Twitter for future updates!